A small drawing taken from an album of an old pine tree. Sumi and light colour on paper. Image size, 23.25 x 11 inches; 59 x 28 cms. Mounted as a painting. Very good condition. 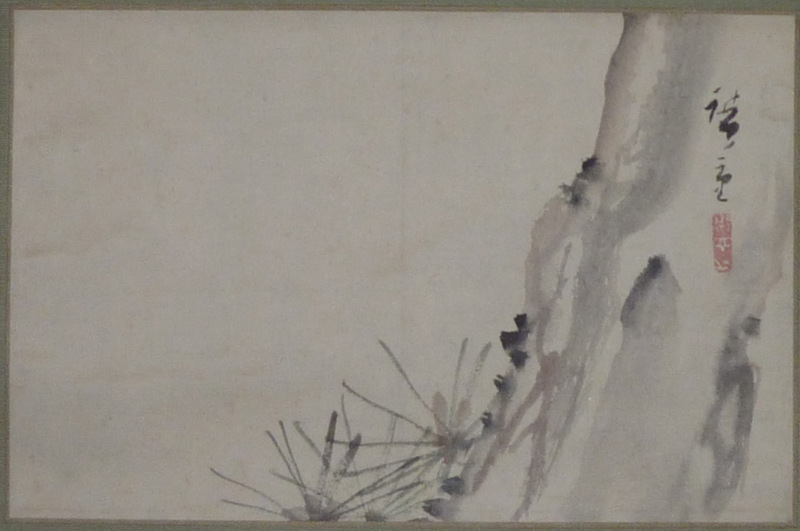 Signed Hiroshige.